Natural Agate offers Chakra Oval Engraved Set. 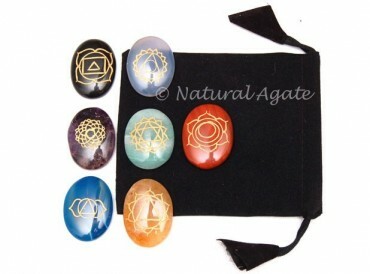 The set comes with a pouch to keep the stones safely. Each chakra in the body is depicted by a symbol. These symbols are engraved on the oval-shaped stones.